The volume of environmental pollution by surface active agents (SAAs) accelerates, because of their intensive use and release into the environment. They are being used in industry, virtually all detergents (soaps, shampoos, toothpaste, etc. ), and in preparing various cosmetics. Surfactants may act as detergents, wetting agents, emulsifiers, foaming agents, and dispersants. In recent years the interest in SAAs has increased and scientists have started to estimate the possible effects of these compounds on the environment [1,2]. Surfactants have different behaviours and fates in the environment. 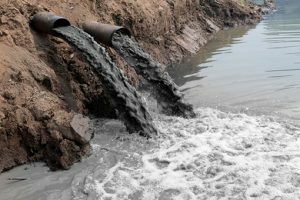 After using and discharging them from wastewater treatment plants as an effluent stream, surface active agents enter various elements of the environment (atmosphere, waters, and solid phases), where they can undergo numerous physic-chemical processes (e.g., sorption, degradation) and freely migrate [3,9]. There is also a fear that surfactants could be “recycled” into drinking water. Additionally, SAAs present in the environment can be accumulated in living organisms (bioaccumulation), what can have a negative effect on the biotic elements of ecosystems (e.g., toxicity, disturbance of endocrine equilibrium). SAAs have can be absorbed and accumulate in the body, causing disorders in the central nervous system, cardiovascular system, digestive system, and damage to the organs of the excretory system. They have allergenic properties, even when small amounts get into the body . Researchers have shown that SAAs can have strong effects on cell membrane processes (permeability, conductance), and they decrease membrane stability, and accordingly the lifetime of the cells . They also cause increased solubility of organic pollutants in the aqueous phase, their migration, and accumulation in different environmental compartments . They can be toxic to different types of organisms or disturb their endocrine balance. It has been reported that some of SAAs are toxic and affect the survival of aquatic animals such as fish, and microbes like yeasts and bacteria. They are also toxic to mammals like mice and humans but to a lesser extent [6,7]. These harmful effects depend on the intensity of detergent concentrations and length of exposure. Moreover, surfactants found in aerosols can affect the formation and development of clouds, which is associated with cooling effects in the atmosphere and climate change [3,8]. Many of the surface‐active materials now in use are biologically degradable. However, many non‐ionic agents are biologically hard. Considerable attention is being focused on them since at very low concentrations, they have a synergistic effect on the foaming of surface waters when traces of anionic detergents are present. The biodegradability of these materials is related to their chemical structures. Surfactants built from natural building blocks have attracted increasing attention as they can be synthesized from renewable natural products and often possess higher biodegradability and biocompatibility compared to currently available petroleum-based products. The situation is serious, but it’s not hopeless! There is an increasing interest to apply “nature-friendly” surfactants to the remediation of a variety of contaminated soils worldwide [10,11]. All surfactant components of detergents must be biodegradable! But it is still imperative to develop new analytical procedures for investigation of analytes from the group of SAAs that occur in ecosystems to make them easier and less costly and to increase safety for the biotic and abiotic elements of the environment. Psalm 115:16 says, “The heavens are the heavens of the Lord, but the earth He has given to the sons of men.” The earth that is given is our inheritance as the Lord’s children. When given a gift, it is necessary that we receive and treat it with the love that was intended. Lilit Tonoyan is a PhD student in biophysics at Yerevan State University, Armenia. She is the founder of charity “Soap for Hope“. Lilit joined the Cross Current Environmental Sciences group in 2018. J. Sukhapan and P. Brimblecombe, “Ionic surface active compounds in atmospheric aerosols,” The Scientific World Journal, vol. 2, pp. 1138–1146, 2002. E. Olkowska, Z. Polkowska, and J. Namieśnik, “Analytical procedures for the determination of surfactants in environmental samples,” Talanta, vol. 88, pp. 1–13, 2012. E. Olkowska, M. Ruman, Ż. Polkowska “Occurrence of Surface Active Agents in the Environment,” Journal of animalistic methods in chemistry, 2014. Fetisov V.O. Abstract of PhD Thesis. Belgorod, 2015 (in Russian). L. A. Tonoyan, A. L. Torosyan, V. B. Arakelyan, Influence of sodium dodecyl sulfate on stability of bilayer lipid membranes,” Proceedings of the YSU, Physics & Mathematics, Issue 1, pp. 58–63, 2016. S. Kumar, T. J. Kirha, T. Thonger “Toxicological effects of sodium dodecyl sulfate,” Journal of Chemical and Pharmaceutical Research, vol. 6, pp. 1488-1492, 2014. Venkatesh Chaturvedi, Ashok Kumar “TOXICITY OF SODIUM DODECYL SULFATE IN FISHES AND ANIMALS” International Journal of Applied Biology and Pharmaceutical Technology, vol: I, Issue-2, 2010. J. Sukhapan and P. Brimblecombe “Ionic Surface Active Compounds in Atmospheric Aerosols,” School of Environmental Sciences, University of East Anglia, U.K. The Scientific World JOURNAL vol. 2, pp. 1138-1146, 2002. X.Mao, R. Jiang, W.Xiao, J.Yub “Use of surfactants for the remediation of contaminated soils”. Journal of Hazardous Materials, vol. 285, 21, pp. 419-435, 2015. X.Liang, C. Guo, C. Liao, S. Liu, L. Y.Wick, D. P. Xiaoyun Yi, Gu. Lu, H. Yin, Z.Dang.”Drivers and applications of integrated clean-up technologies for surfactant-enhanced remediation of environments contaminated with polycyclic aromatic hydrocarbons” Environmental Pollution, vol 225, pp. 129-140, 2017.